4. Shareholding for outside auction: 39.074.066 shares, takes 5,763% charter capital. Article 2. This Decision takes effect on the signing date. 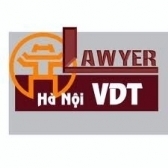 Ministers of: Industry and Trade, Finance, Labor - War Invalids and Social Affairs, Planning and Investment, Internal Affairs, heads of relevant agencies, Steering Committee of Enterprise Innovation and Development and the Management Board of Vietnam Steel Corporation shall implement this Decision./.